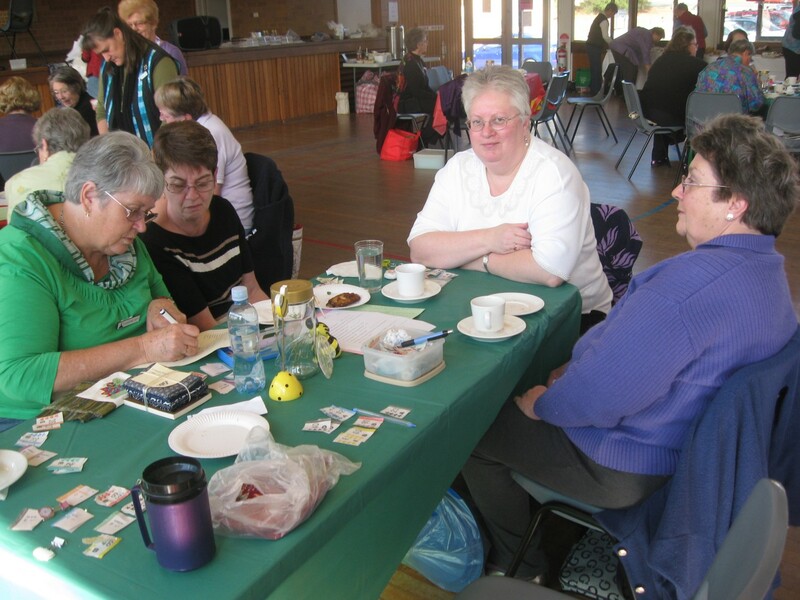 Biggest Morning Tea – A Cancer Council Fundraiser | Canberra Quilters Inc.
Every year during May the Cancer Councils around Australia encourage organisations to host a morning tea in order to raise funds for cancer research and support of patients. 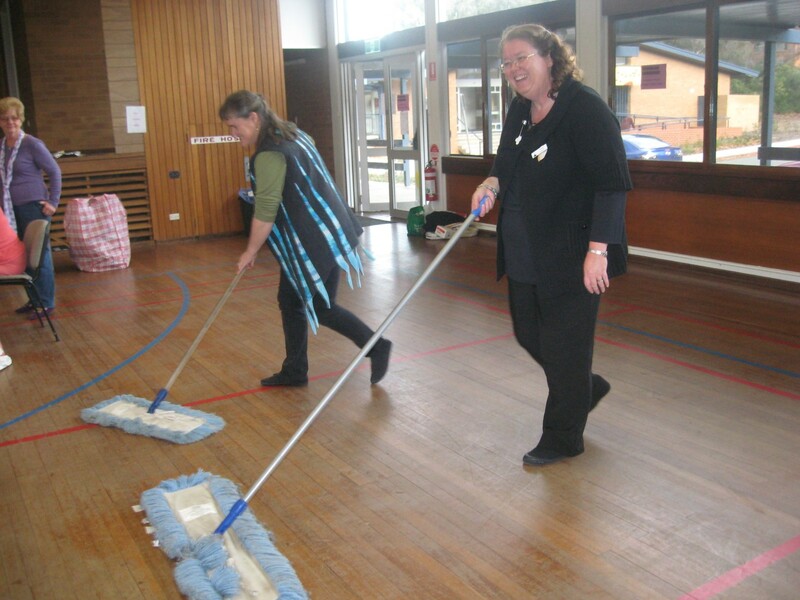 For a number of years Canberra Quilters has hosted a morning tea – or an extended lunch – dubbed the Biggest Quilting Bee. 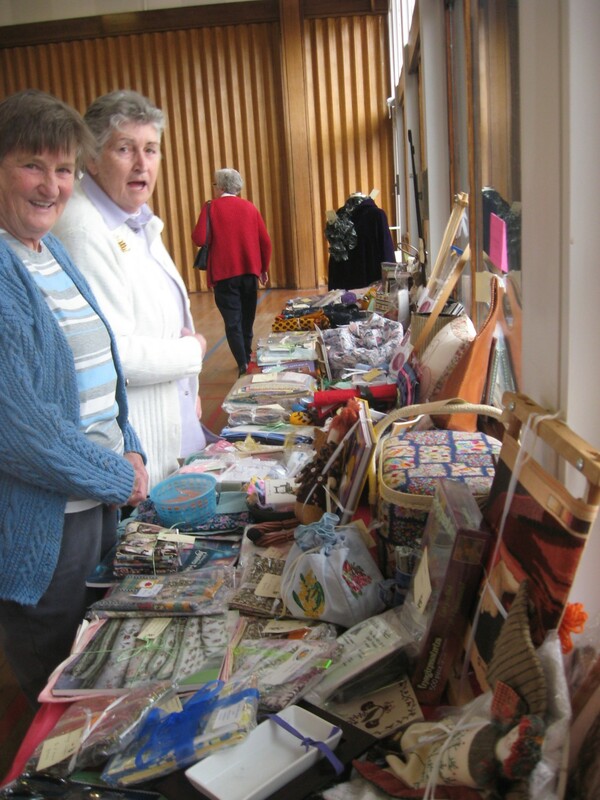 This year it was held on Sunday, 22 May, at the Community Hub Hall at Cook – in the same complex of buildings as our headquarters. 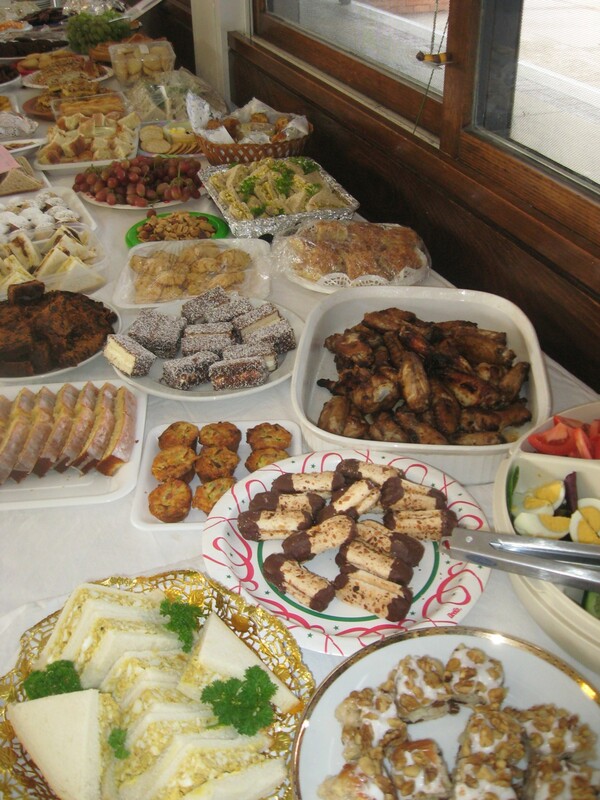 Members had a fine old time from 11am until 3pm. 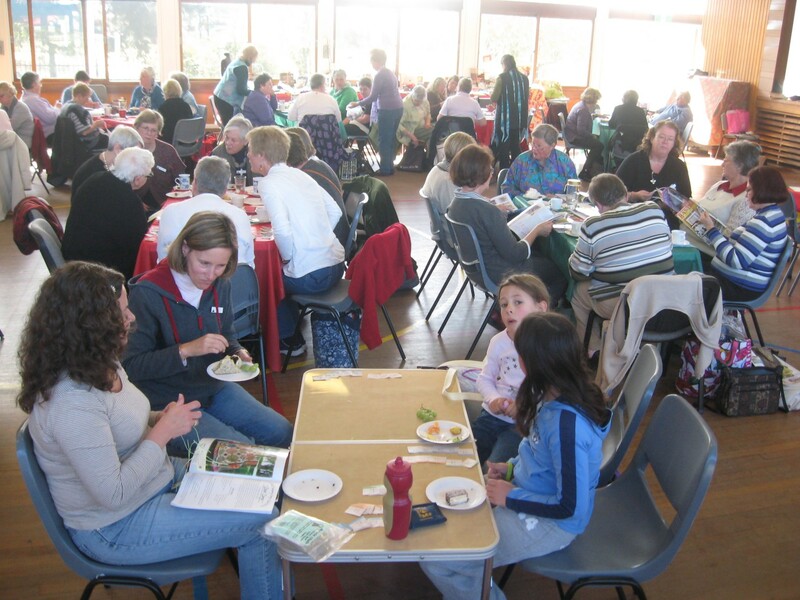 The tables were groaning with tasty food – “bring-a-plate” brings out the best in the quilting cooks. The raffle tables were piled with donated prizes. 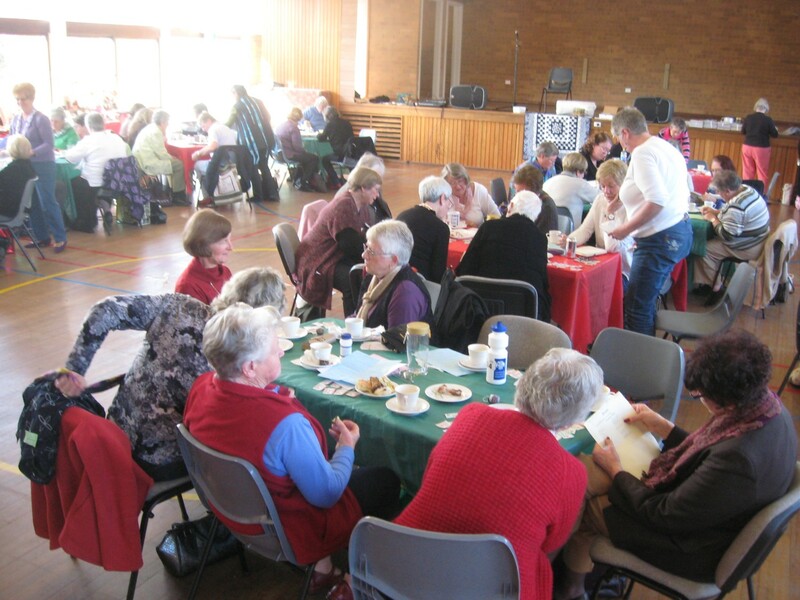 Everyone had fun trying to complete the puzzles, chatting to friends, getting a little stitching done – and eating and drinking. 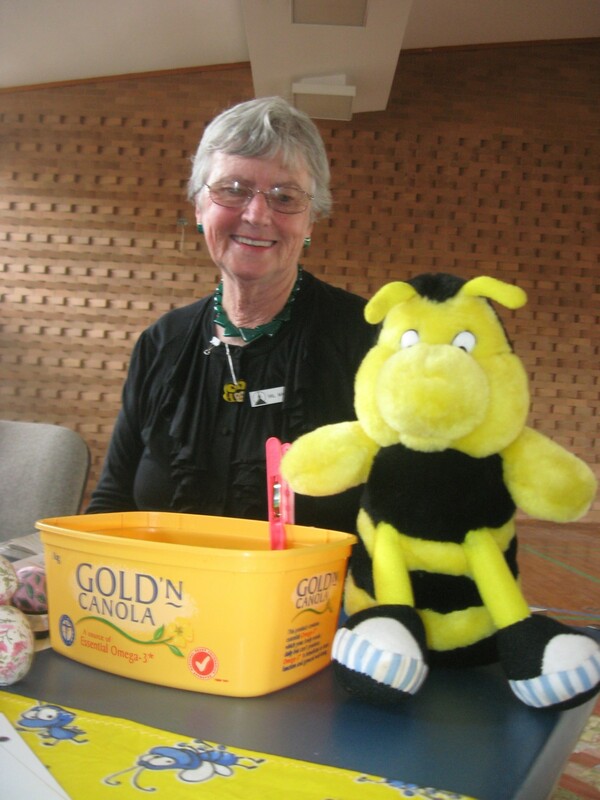 What’s a quilting bee without a bee? Are you sure that’s the answer? A total of $1301.40 was raised on the day. Congratulations to Mary Robertson and her team and to all who attended. Special thanks to our MC – VP Tricia Morton.